What Should I Do If An Employee Sues My Company? A lawsuit can be an overwhelming experience for any business owner – particularly if you have not previously had any dealings with the court system. But it’s not cause for panic. 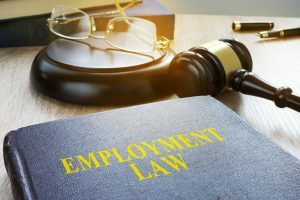 The skilled employment law attorneys at Structure Law Group can help San Jose employers resolve such disputes through litigation, arbitration, the Labor Commissioner, mediation, or simple settlement negotiations. The experience of a knowledgeable attorney can allow for fast and effective resolution of employment claims with the least expense possible. Sometimes, a motion to the court can be used to end the litigation before it begins. This is what Yahoo’s legal team did to effectively end a gender discrimination lawsuit that had been filed against the company. The San Francisco Chronicle reports that the tech giant had been sued by a former manager who alleged that the company’s performance evaluation system could be manipulated to produce a gender bias. In an interesting twist, the bias was alleged to favor women, and the lawsuit was filed by a male manager who claimed to have been treated unfairly by it. Yahoo maintained that the manager had been fired as a result of his poor performance. A federal judge dismissed the case before Yahoo incurred the expense of discovery, mediation, arbitration, or settlement negotiations.